On July 14, 2014, GNI wrote to UK Prime Minister David Cameron about the Data Retention and Investigatory Powers Bill.  The Global Network Initiative is a multi-stakeholder group of companies, civil society organizations (including human rights and press freedom groups), investors and academics, working to protect and advance freedom of expression and privacy in the Information Communications and Technology (ICT) sector. We urge reconsideration of the fast-track timeline for the Data Retention and Investigatory Powers (DRIP) Bill to provide adequate opportunity for Parliamentary scrutiny and public debate. GNI has observed a troubling legislative trend around the world in which requirements are placed on communications providers to respond to government requests for user data outside that government’s jurisdiction. By asserting extraterritorial jurisdiction, the DRIP Bill could provide unintended justification for such actions by other governments, including those that seek to limit freedom of expression and other human rights online. We are concerned that the effect of passing this legislation will be to encourage other governments to expand claims of jurisdiction without regard to the physical location of data centers. We urge you to be mindful of these consequences, including the impact of laws enacted in other jurisdictions on the privacy rights of UK citizens at home and abroad, when considering this legislation. The UK government has other means of lawfully obtaining data from other jurisdictions, including through mutual legal assistance treaties (MLATs). The UK National Crime Agency has been a leading proponent of reforms to the MLAT process that would better address individual rights and law enforcement needs. If passed, the DRIP Bill would undermine these efforts, which we believe to be a more suitable approach to managing challenges around jurisdiction and cross-border data requests. The United Kingdom plays an important leadership role in the promotion of Internet freedom, including through co-chairing the Freedom Online Coalition working group on privacy and transparency. We believe that giving unintended justification to other governments seeking to limit freedom of expression and other human rights could undermine the effectiveness of the UK’s efforts to advance freedom online. We urge you to reconsider the timetable for this proposed legislation and allow a public debate that considers its broader international ramifications.